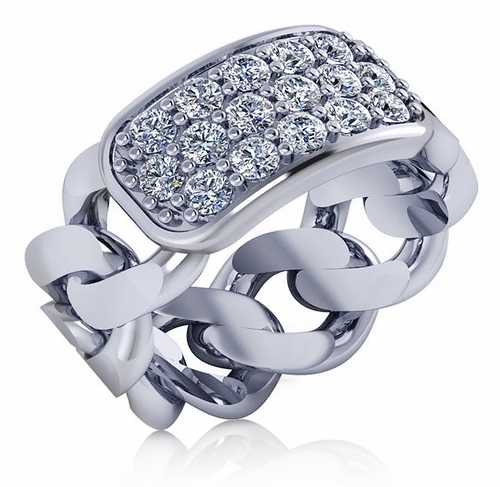 The Celline Pave Set Round Cubic Zirconia Cuban Curb Chain Link Ring is a stunning alternative to the well known Cuban curb chain link bracelets. This unique ring features an id tag that is encrusted with approximately .65 carats in total carat weight of the finest diamond quality cubic zirconia. Our Russian formula cubic zirconia is hand cut and hand polished for the look of the best quality of diamonds available. 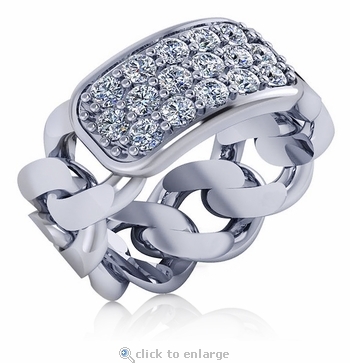 The Cuban or curb styled chain link shank is realistically made to appear to be taken from the traditional id chain link bracelets that have kept their popularity. 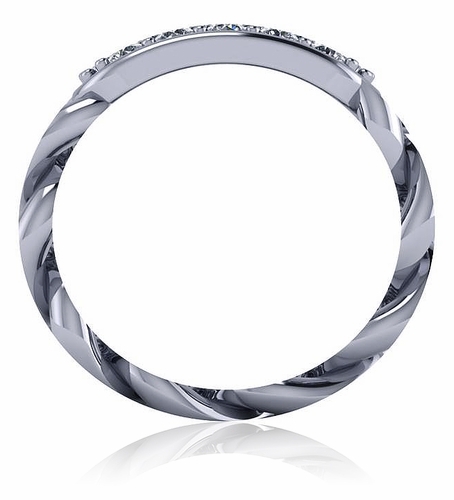 This ring measures approximately 8.5mm in width and is available in your choice of 14k white gold or 14k yellow gold. Whole and half finger sizes are offered in the pull down menu and additional finger sizes are available, please call us directly. For further assistance, please contact us at 1-866-942-6663 or visit us via live chat and speak with a knowledgeable representative.